This is a very nice Alaskan Gold Nugget. The shape, and the contrast of gorgeous brilliant gold and attractive quartz inclusions, make this gold nugget a pleasure to behold. It weighs 13.9 Grams (214 Grains). It is 1" long x 5/8" wide x 3/8" thick. 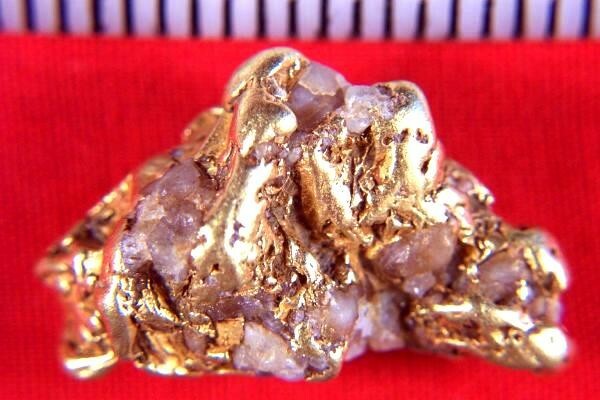 Most of the weight is gold, as gold is 9 times heavier than quartz. 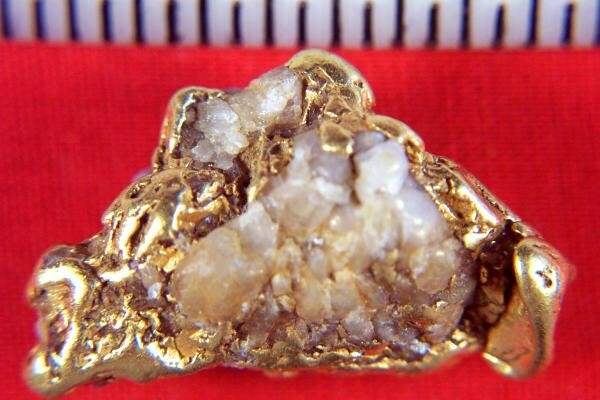 This is a wonderful Alaska Gold Nugget and would be a real prize for any collector or jeweler. Solder on a gold bail and add a gold chain and you have a gorgeous gold nugget necklace or pendant.